The purpose of the Helical Pile Association (HPA) is to advance helical pile and resistance piering technology within both the engineering community and the construction industry, as well as to provide homeowners a link to quality foundation repair solutions. Additionally, the HPA serves as a unifying network through which all CHANCE installers and distributors connect and communicate. The HPA supplies in-depth resources to help those within the industry become more accustomed to helical and resistance products and the advantages they provide. Through interaction with its members, the HPA also strives to provide continuing education on important topics such as new installation techniques, improving jobsite safety, and many other vital issues members may encounter on a daily basis. The Helical Pile Association is partnered with the largest manufacturer of helical and resistance products in the world, CHANCE, a division of Hubbell Power Systems. 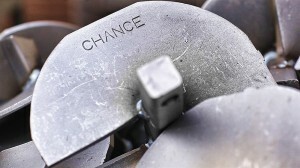 CHANCE products are based on over a Century of earth-anchoring research and development by the most experienced manufacturer in the industry.